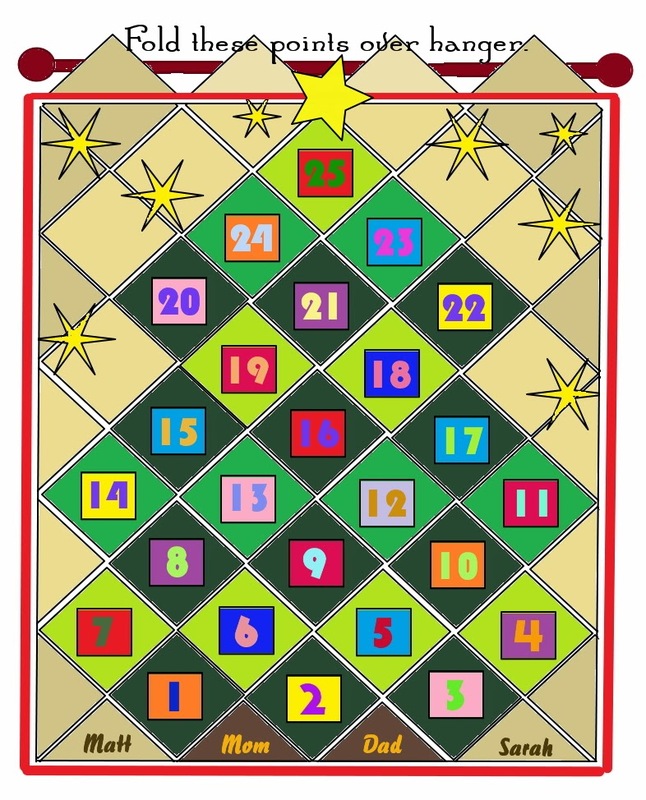 Christmas brings forth my best intentions and designs, such as plans for a Pin Loom Advent Calendar that has been in the works for a number of years. I am getting closer. The green 4" x 4"squares for the banner and the 2" x 2" multicolored squares for little pockets for treats are all woven and waiting to be assembled. My original plan called for a simple grid, which is a perfectly acceptable way to put together the calendar, but seemed boooring. Here is the newer plan, still in the formative stage. Proof that I'm basically a "nothing succeeds like excess" kind of gal. 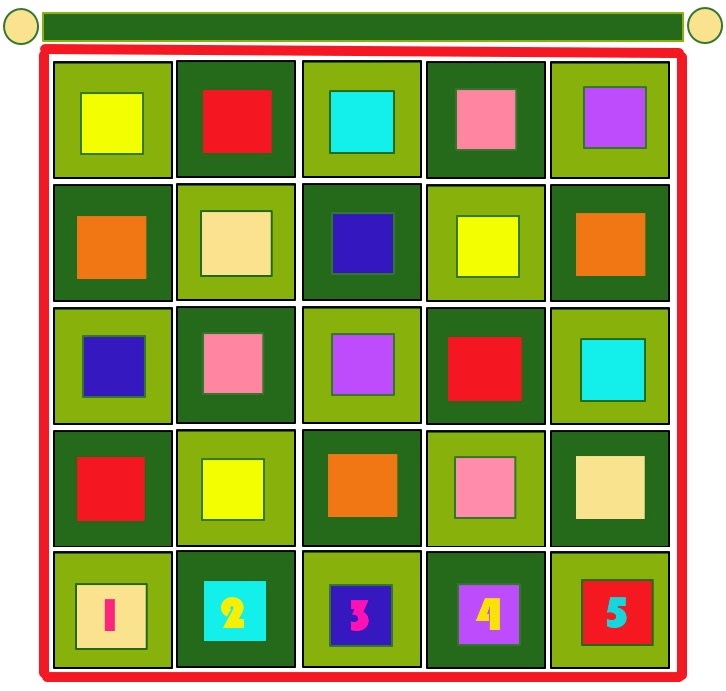 This Advent Calendar calls for 25 green squares as well as 24 background squares in a variety of neutral colors. It measures approximately 20" wide by 30" high. In the real hanging the green squares will be a little more random. My plan for the numbers is to use short lengths of brightly colored nylon cord, attaching them with hot glue and then binding them in place with micro-filament thread. The skinny yellow stars will be yarn embellishments. 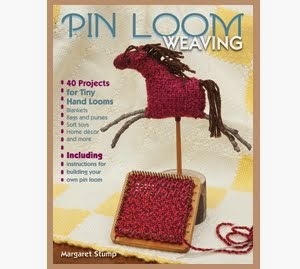 I am not sure how I am going to make the top star on the tree, I might change it out for a pin loom angel. Although it will be too late to use the Advent Calendar this year, I will continue to work on it. 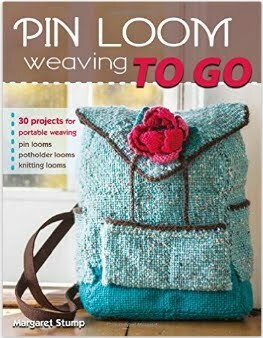 I hope to share pics of the actual weaving in Pin Loom Advent Calendar, Part II. From the little bit of experimenting that I have done so far on the real squares, it looks like I will need to make a number of changes to this plan including adding more ornaments to the tree and throughout the hanging. One idea that I hope to initiate with this project is making small ornaments out of felted weavies. After all, what better medium for felting than small woven squares?